The exhibition of this great Italian artist, scientist, musician, writer, engineer, and simply "universal man" will be presented over two hundred paintings and sculptures, including "Virgin of the Rocks", "Annunciation", "Beautiful Princess"; 75 mechanical devices, recreated on the basis of records and drawings by Leonardo, some of them can even lead to his own action. 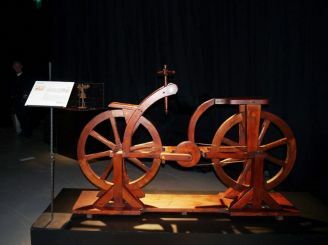 The exhibition consists of twenty chapters, which will look into the astounding world of this genius who laid the foundations of some of the most important inventions of modern times such as helicopter, plane, car, bike, parasailing and even a submarine. 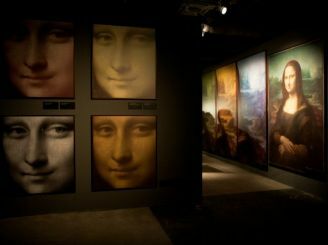 Visitors will learn the secret of secrets 25 "Mona Lisa", which are presented in the form of gallery exhibitions on forty repeatedly enlarged photographs and, in addition, see the three-dimensional interactive reproductions of the most famous paintings of Leonardo da Vinci. 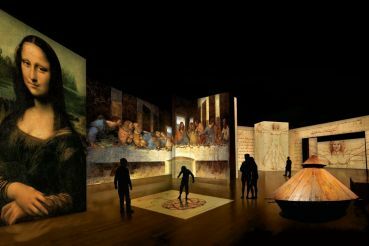 Visit the exhibition and learn about secret writing technique Leonardo, as well as read, written codes with interactive touch screens.